These words were part of Elder Jeffrey R. Holland’s opening remarks in a broadcast to BYU-Pathway Worldwide students on November 1, 2018. 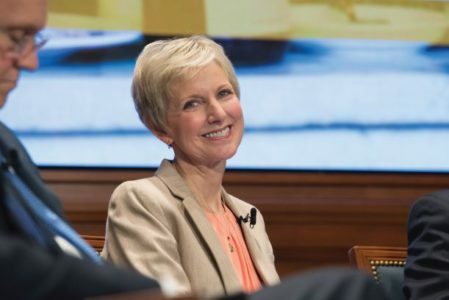 He — along with Elder David A. Bednar, Elder Quentin L. Cook, Sister Jean B. Bingham, Elder Robert C. Gay, Elder Kim B. Clark, and President Clark G. Gilbert and his wife, Christine — addressed more than 27,000 BYU-Pathway students enrolled at that time, as well as the thousands more who will enroll for many years to come. 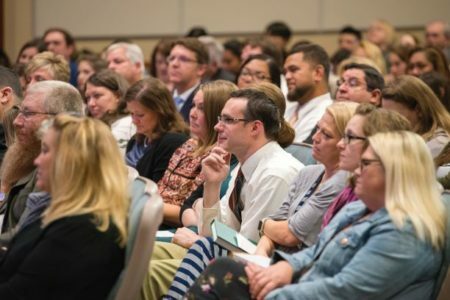 It was the first time this many General Authorities and Officers of the Church directly addressed the worldwide audience of BYU-Pathway students. Like BYU-Pathway, its students are also experiencing monumental moments. Students may not realize the great impact these seemingly “small and simple”1 moments have until they look back at them later in life. For example, the decision of whether or not to go to college or which career path to follow. The discovery of love, self-worth, or faith. These small and simple experiences shape students and lead them and their families toward better futures. 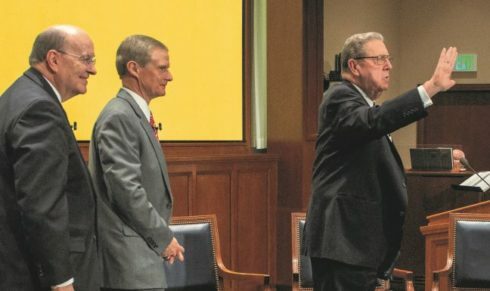 Elder Holland and the other panel members from the Executive Committee of the Church Board of Education addressed a number of obstacles that prevent students from continuing their education, which were presented as four types of students: Doubter, Misplaced Zeal, Happy As I Am, and Basic Survivor. 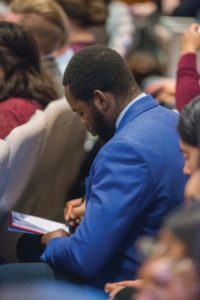 The panel encouraged these kinds of students and others to do basic things that could remove their stumbling blocks and lead them to greater opportunities for growth. The doubter describes students who aren’t sure if they have what it takes to continue their education. They doubt themselves and their abilities. Fear prevents them from taking a step into the unknown. But, it is faith that can dispel fear and inspire students, filling them with the confidence they need to continue their education. 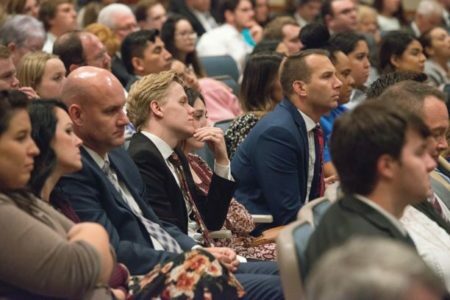 Elder Holland reminded students that education is part of their eternal development, and invited them to have faith in themselves and in God, who will provide them with divine help. 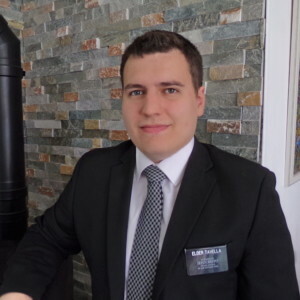 Elder Clark taught that having faith in Jesus Christ will provide access to the enabling power of His Atonement to overcome doubts about pursuing an education. 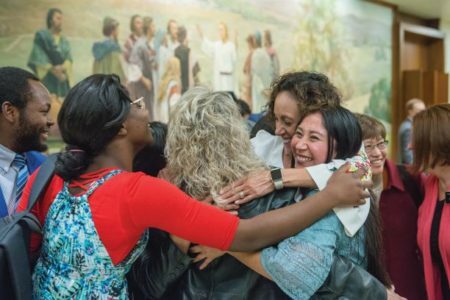 As someone who has benefited from her education as a parent and Church leader, Sister Bingham encouraged students to not shortchange themselves on education — they don’t know yet how their lives will turn out and how education will bless them. 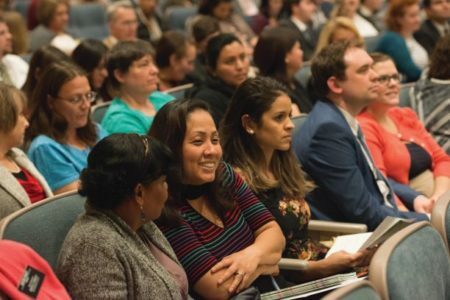 Elder Bednar urged students to become consecrated Saints, which requires them to develop their skills and talents through education and dedication to God’s work. Students who embody the “happy as I am” attitude are comfortable with where they are in life. They don’t see any need for growth. 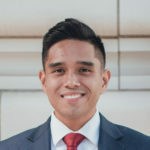 The panel suggested that if these students ask God what they lack, they will experience a change of heart that may persuade them to continue their education. Elder Holland, quoting Brigham Young, acknowledged that what many students fear is failure. Sister Bingham suggested that BYU-Pathway is exactly what students need to overcome their fears. Elder Gay explained that students will find true happiness if they step out of their comfort zones and work to discover God’s plan for them personally. The basic survivor is not lazy or carefree. In fact, these students work very hard. They are already burdened with many responsibilities and adding another one, such as going to school, could make it harder for them to survive. The panel advised students to consider their divine responsibility, take a leap of faith, and trust that God will provide a way. Referring to 1 Nephi 3:7, Elder Clark invited students to ask the Lord if He wants them to receive an education. Elder Bednar shared his testimony of the divine help available to students if they will do their best and trust that the Lord will take care of the rest. Elder Cook promised that, while sacrifices may seem great in the beginning, students will be eternally blessed for them. As students exercise faith to dispel doubt, refocus their priorities, make decisions that expand their comfort zones, and trust that anything is possible with the Lord, they will experience monumental moments that lead to extraordinary outcomes. Their futures will change forever as they discover their divine potential and understand the eternal blessings of education. It may only take one monumental moment to redirect the course of the future. BYU-Pathway Worldwide strives to create such opportunities for students across the globe by providing them with accessible and affordable education. Its reach will continue to expand as students take the step of faith to do their part and trust in the Lord. Elder Bednar promised students the Lord is mindful of them and will help them succeed. At the conclusion of the broadcast, Elder Holland left students with an apostolic blessing. 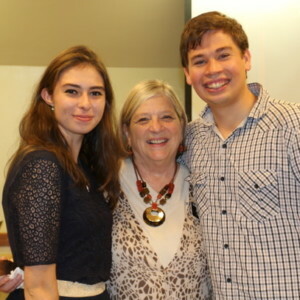 The broadcast received more than 16,000 views online and inspired students around the world to act on what they learned. Janet Lopez (Yuba City, California) shared how the messages encouraged her to keep going in PathwayConnect. Identifying herself as a basic survivor, Heather Hansen (Rigby, Idaho) felt that her goal to attend BYU-Idaho might not come to fruition. After watching the broadcast, she felt inspired to continue and trust in the Lord. She now attends school on campus. Linda Tu’ihalangingie (Tongatapu, Tonga) expressed that the message in the broadcast gave her greater determination to finish her education.